What are the best peer-to-peer lending platforms? These services give you direct access to the consumer credit market. We all know that when one person borrows money, someone else is usually making money. This is what banks do when they make loans and charge interest, and it’s what investors do when they purchase corporate or municipal bonds. But there is a more direct way to earn income by people money without the use of financial institutions. Peer-to-peer lending (often shortened to P2P lending) is growing in popularity, and many investors are finding that it’s a great supplement to their broader portfolio. P2P lending is also helpful to people who, either by preference or necessity, won’t borrow from a bank. In simple terms, P2P lending happens when an online platform matches lenders with people or companies looking to borrow money. People use P2P lending services for many different reasons, from debt consolidation, home improvements, auto loans, and more. Imagine you are an individual who needs to borrow money to purchase a car but aren’t happy with the rates offered by a bank. By using a P2P lending platform, you may be able to find someone to lend you funds at an acceptable rate. One notable advantage to the borrower is that this loan is unsecured, so the lender can’t repossess your car if you can’t pay back the loan. Lenders get to choose the loans they purchase based on the interest rate and credit-worthiness of the borrower, but it’s possible for investors to build entire portfolios of loans with various interest rates and risk levels. Income from P2P lending can often outpace that from bonds and other fixed-income investments, and investors can even make more than stocks if they are willing to take on more risk. One key thing to note is that because P2P lending essentially involves personal loans, the money earned is taxed as regular income, not investment income. This usually means you’ll pay more in tax than other investments. There are many P2P lending platforms out there. Let’s take a look at some of the most popular ones and what they have to offer. Perhaps the most recognizable P2P platform, Lending Club has facilitated more than $38 billion in loans as of August 2018. Available to investors in 39 states, it allows for personal loans of up to $40,000. Investors can get started with as little as $1,000 and purchase “notes” which are essentially fractions of loans, historically offering returns between 3 percent and 8 percent. Lending Club will allow an investor to sift through possible loans and select ones they like, or choose a pre-selected automated strategy. With Lending Club, loans are provided a grade of A through E, with “A” loans offering the lowest risk and lowest returns. The higher the return, the riskier the loan. So investors can construct a portfolio of loans offering risk and returns based on their own comfort level. Lending Club claims that about 99 percent of investors with more than 100 notes will make money. Lending Club makes money by charging origination fees of between 1 percent and 6 percent. Lending Club went public in 2014 and was once the hottest company in the FinTech space. But it lost some of its luster after some scandals involving loan quality and its CEO, who was forced to resign in 2016. This company claims to be the first P2P lending platform and has facilitated borrowing for more than 800,000 people. Borrowers can get loans of between $2,000 and $40,000, and lenders can get started with as little as $25. 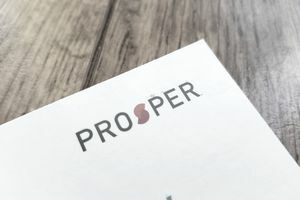 Prosper offers loans with ratings based on the expected return and risk, and it’s possible to build a portfolio of loans with diverse characteristics. Prosper claims to have a high-quality pool of borrowers. The company says the average borrower has a FICO credit score of 710 and an average annual income of more than $96,000. The company makes money through loan origination fees of between 2.41 percent and 5 percent. Prosper’s main backers include Sequoia Capital, Francisco Partners, Institutional Venture Partners, and Credit Suisse NEXT Fund. Unlike Lending Tree and Prosper, Upstart is only available to accredited investors. This means you can’t purchase loans through Upstart unless you have a net worth of $1 million (not including your house) or an income of $200,000 or more. Founded by a team of former Google employees, Upstart boasts that it’s a better platform for borrowers because uses artificial intelligence and a wide range of other factors to determine credit-worthiness. Upstart relies on more than credit scores, going so far as to analyze job history, education and even area of study. About half of loan approvals through Upstart are fully automated. As of August 2018, about 172,000 loans have originated on the Upstart platform. About 91 percent of loans through Upstart are paid in full, according to the company. Interest rates from Upstart range from 7.8 percent to 29.99 percent, and loans are available in 3- and 5-year terms. Upstart offers investors the option of placing returns in a self-directed individual retirement account, potentially offering some tax savings. Lending through Peerform is designed for accredited investors and institutional investors. Loans are actually made by Cross River Bank, which provides the underwriting criteria. Peerform does not accept loans from those with FICO credit scores below 600 or debt-to-income ratios about 40 percent. As of August 2018, the company offers 16 grades of loans, with interest rates ranging from 5.9 percent to 29.99 percent. Ready for a World Where Banks Share Your Data? Have You Looked Into Borrowing With P2P Lenders? What Are Prize-Linked Savings Accounts? How Do Socially Responsible Banks Work?